Just picked up this little beauty made by Gene Ingram that he calls his "GWB." I have no idea what "GWB" stands for, but this knife is impeccably made, as is typical of Gene's work. I would classify it as a small "semi-skinner" blade. Blade length is 2-3/8" and overall length is 6" so it's almost small enough to carry in a front pocket. It features S30V steel, spalted maple scales, mosaic pins, thin black liners, jimping, rawhide leather lanyard with antler fob, and a nicely made thick leather sheath. That is a great length to work with. 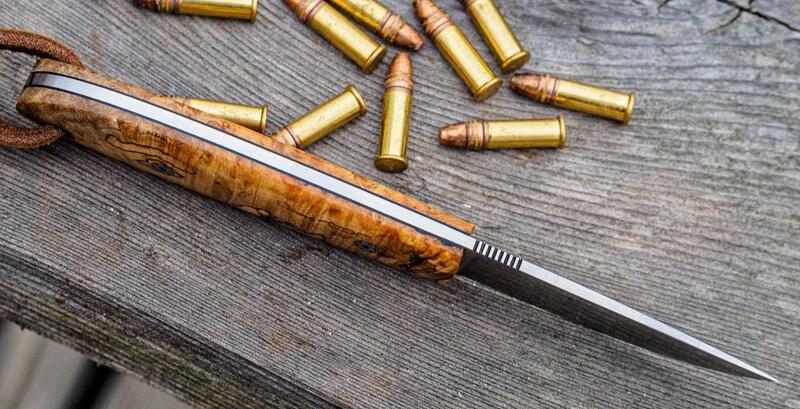 Personally I really like a shorter blade on a hunting knife and any knife under 3 inches is probably legal to carry even in the most restrictive places. You do have an eye for quality work brother. Just acquired another beauty from Gene Ingram. 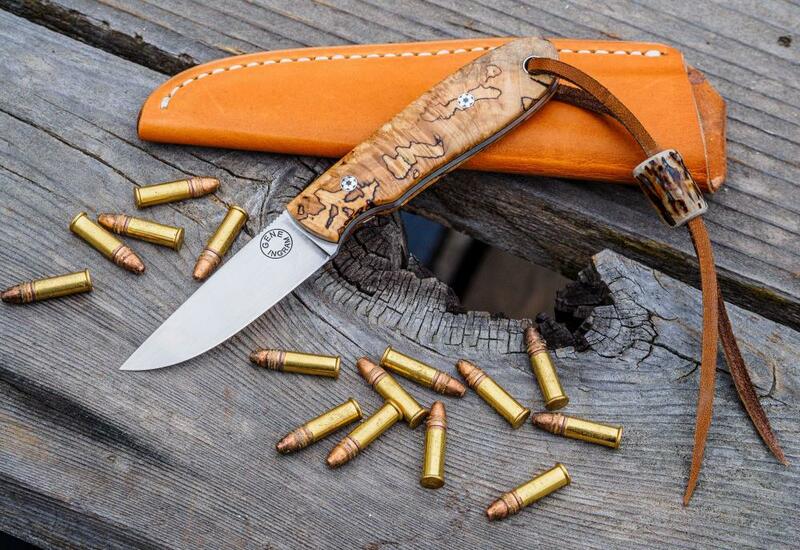 It is his "#7 Drop Point" design, which is 7-1/2" OAL, 3" blade length. This one has ironwood scales, S30V steel, mosaic pins, black liners, and jimping. Like all of Gene's knives, it came with a nice thick sheath that retains the knife very well, and his signature antler lanyard fob. Adjusting photo size. I thought the forum settings auto-adjusted for screen width. Apparently not. 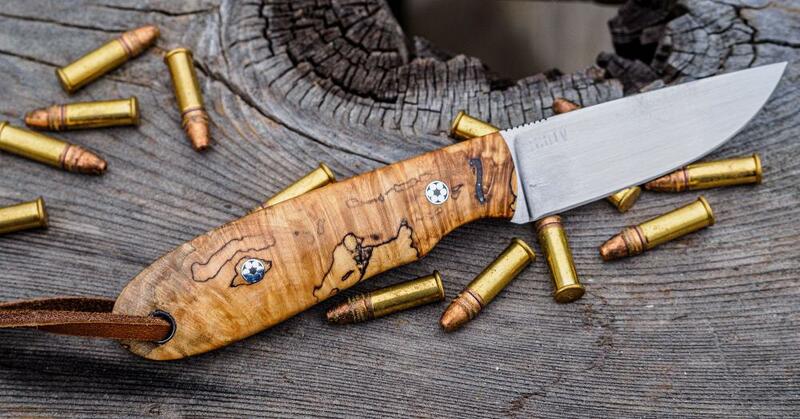 That knife is a work of art.